Bright Beginnings Preschool was established in 1985 to provide a quality, God-centered early childhood program for members of Cross Lanes Bible Church and our surrounding community. We provide an early childhood program that meets today’s needs. 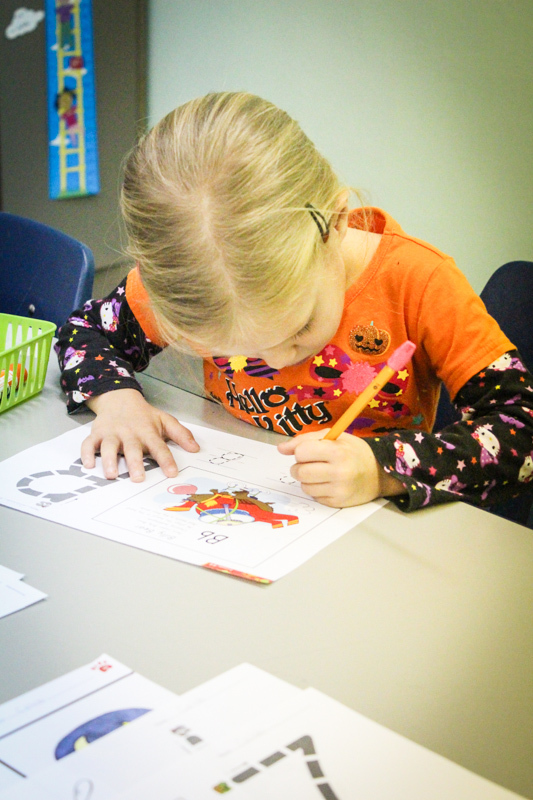 Our preschool program is geared to be a kindergarten prep school. Children are challenged to think and grow academically while also developing self-confidence and self-discipline in preparation for kindergarten. Activity-based instruction along with age-appropriate educational and social experiences help to develop growth and learning in each child’s life. Bible lessons, verses, and songs help to reinforce that God loves each child and teaches Christian principles for their lives. Careful standards for safety, security, curriculum, consistency, kindness, and gentleness help to provide a high-quality educational program. The staff of Bright Beginnings is committed to providing the best program possible in a secure, nurturing environment where creative learning can take place. Our staff is experienced and receives ongoing training as well as maintaining CPR and first-aid certification. We also require background checks for each staff member. Bright Beginnings Preschool exists to help families provide learning experiences that enhance their child’s spiritual, physical, intellectual, and social development in a safe and loving environment. We believe that the education process is a partnership between the parents and the school. Research supports that early learning makes a positive difference for children.